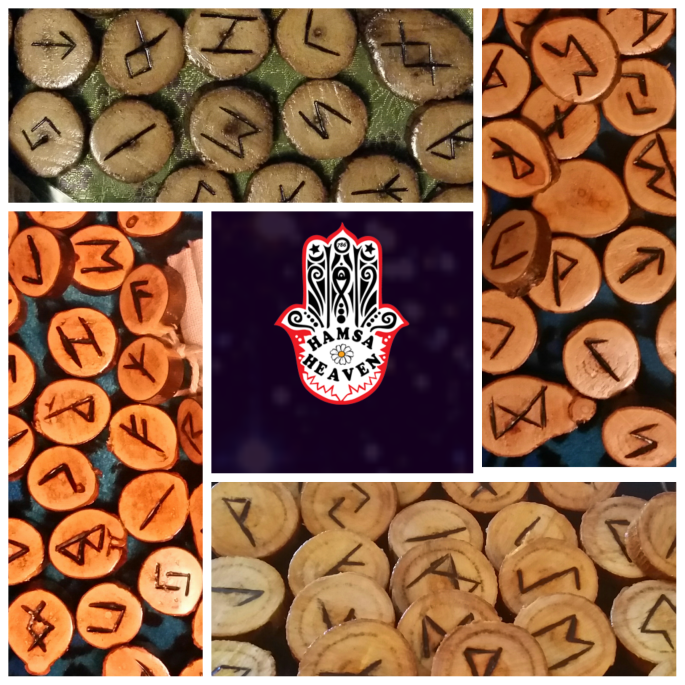 The sets I make are the classic Elder Futhark, cut by hand and sanded to a smooth finish. 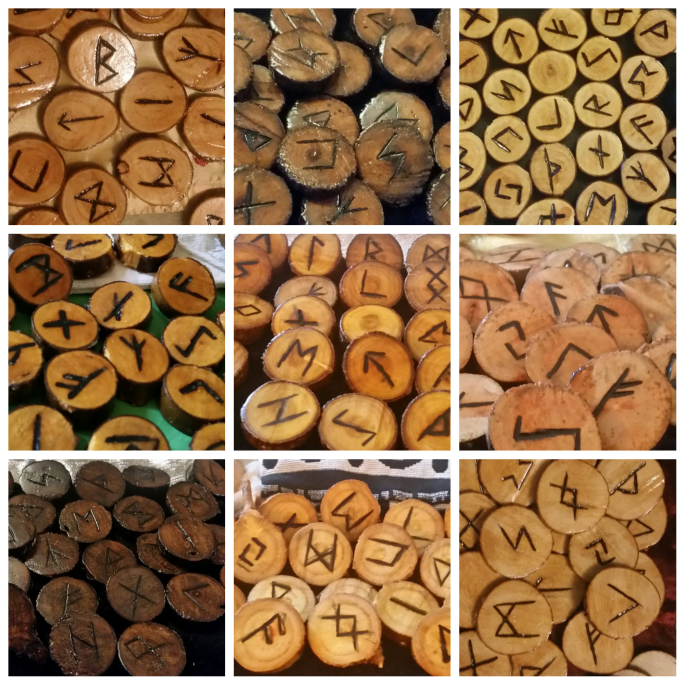 I burn the symbols into the wood, then finish the presentation with a nice coat of shellac. Naturally, they vary in size and shape, but most are the size of a loonie. Each set also comes with a replacement piece or two. 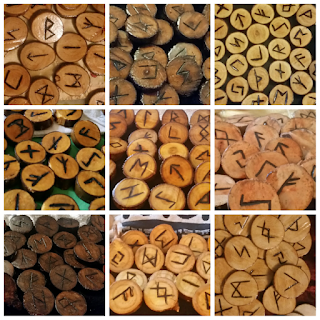 The sets all come in a bag for storage with a sheet to detail what each rune means and how to do a reading. This is ideal for the beginners out there. Below, you will see the Runestone sets I have available for purchase. You can Contact me for more information and secure any set you might be interested in. My life is a series of never-ending adventures that loosely tie together through my artistic expression. Aside from my art, I am a yoga teacher. My greatest pride is my 3 grown children.